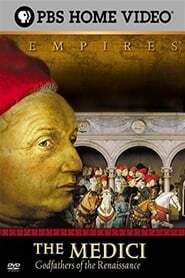 From a small Italian community in 15th-century Florence, the Medici family would rise to rule Europe in many ways. Using charm, patronage, skill, duplicity and ruthlessness, they would amass unparalleled wealth and unprecedented power. They would also ignite the most important cultural and artistic revolution in Western history -- the European Renaissance. But the forces of change the Medici helped unleash would one day topple their ordered world.